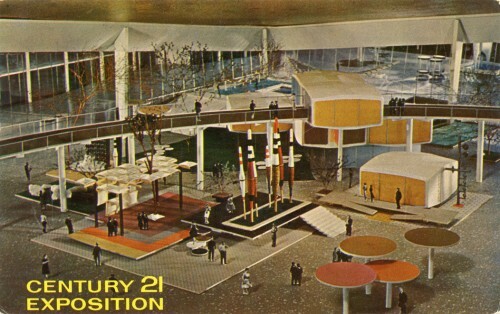 Here are some really great postcards from the Century 21 Exposition, held in Seattle in 1962. I think I just found a few new desktop backgrounds! My favorite part about these is that they’re clearly postcards of models. I wonder if they were ever updated during the fair to have actual photographs in them. What would you think, receiving a postcard of a photograph of a model in the mail? 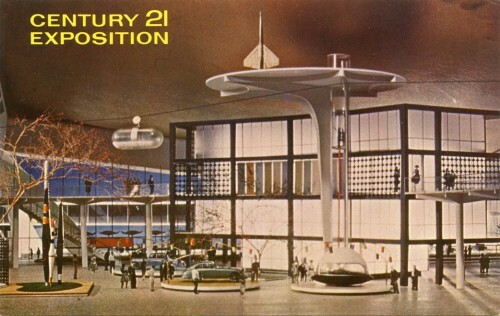 Model or not, the design here is awesome and very space-age. Check out more at Alamedainfo.com.